Hello everybody, we're live from RLabs, in Cape Town, it's 10am local time, and the event is about to start with the welcome presentation! Grab yourself some snack and breakfast, find a seat, and enjoy! Jacqui and I will keep you posted with all the updates. It is a beautiful, very sunny morning here in South Africa. We just beat traffic by driving opposite to rush-hour, coming from the Central Business District to Bridgetown, in the Athlone area of Cape Town. We’ve spent the last days preparing the space, the presentations, and the briefs, for this event to go as smoothly as possible. 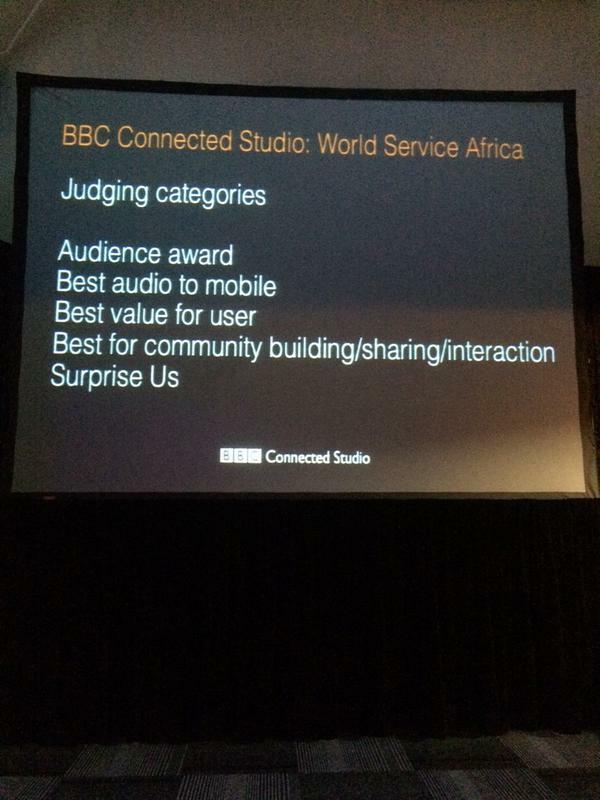 BBC World Service is obviously represented, as well as Connected Studio and News Labs. But we just can’t wait to see things get real in the hands of the participants. Attendees to the event arrived at Rlabs for a quick coffee top-up before the welcome session begins in the presentation space, now all draped in black with some lounge background music and a shiny disco ball. But anyway, it’s 10am already, and first on stage is Connected Studio’s Laura Harrison - with the now classic housekeeping and fire instructions. 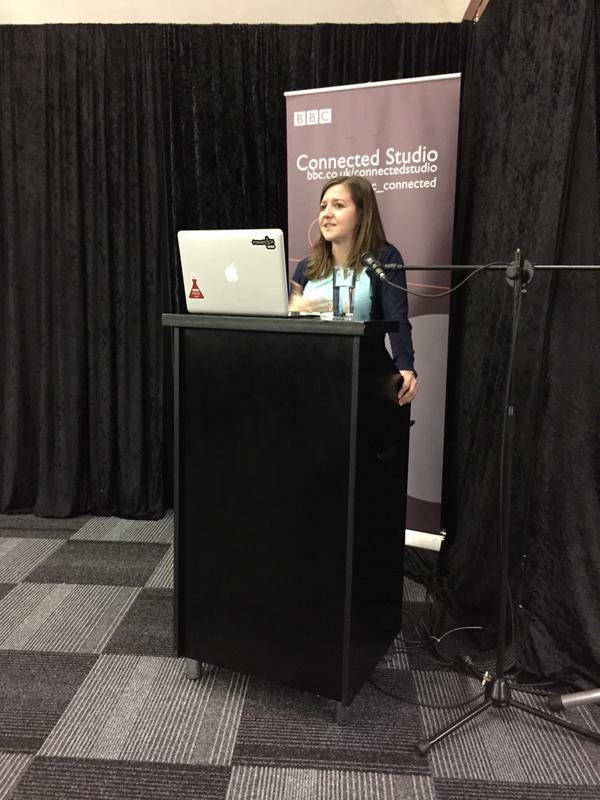 “The BBC has this huge vision to be the most creative organisation in the world,” she said, before proceeding to a quick presentation of what Connected Studio is and its role in supporting digital innovation across the BBC. The goal of this project is to grow the reach of BBC content in Africa. It started in London, back in December, with a hack around language tech, then another event in Nairobi about chat apps - and now: South Africa, looking at audio distribution. 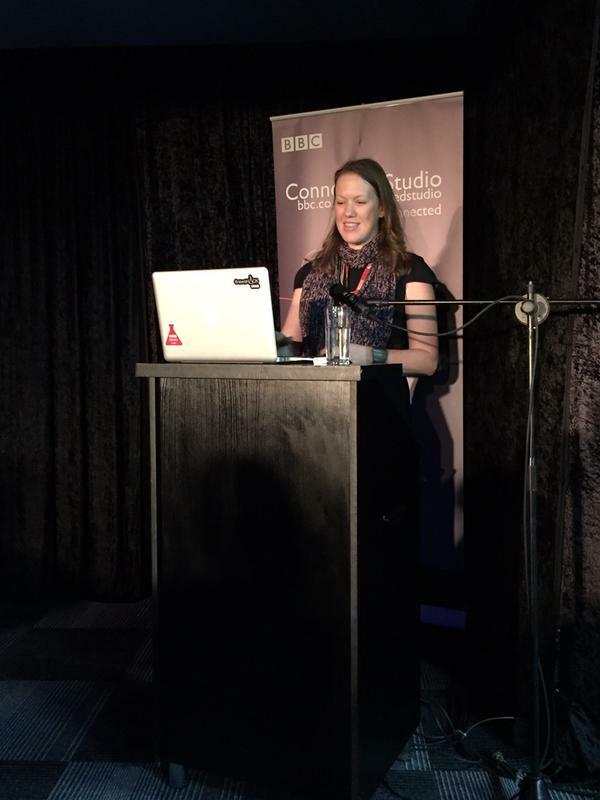 After this introduction, Laura passes the mic to BBC World Service Digital Editor Bethan Jinkinson, who introduces World Service and its massive 265 million-strong audience. World Service distributes its content in 27 languages and English, and in particular to 93 million in Africa. This figure, combined with 92% of Africans getting their news through radio, makes the continent very important for the BBC to explore radio distribution. Taking this into account, World Service is changing quickly, to be ready for 930 million predicted mobile devices in Africa by 2019. The BBC is also investing in social media platforms, presence and new formats. The brand new BBC Minute is the World Service’s latest effort, a news service bringing you the world in 60 seconds, twice an hour, all day every day. Roughly half an hour after the light dimmed in the room, the participants are invited to go into the next building and find their team’s table… in order to get the projects started! Beth and Laura finish their presentations with smiles on the audience faces and enthusiastic applause. Experts are on hand to help, so do not hesitate to politely hail Jacqui, Basile, Dan, and Richard! It has only been two hours since our participants and experts gathered to kick off this Development Studio, but to be honest, it doesn’t seem so. Jacqui and Basile have been walking around to get a first rough idea of what the 14 teams are up to, and let’s face it, it’s quite interesting already. We've heard from participants about the BBC's issue connecting with a young audience in Africa, and are happy to report that many of the attendees here are thrilled to have the opportunity to pitch their ideas and help solve this problem. Several participants came to the studio with innovative ideas and tools. Jacqui learned about an approach to lowering the cost of access to data for school kids, a service called Streetwise. Small terminals that connect to a service by The Content Company, they display low-scale reformatted but entirely usable versions of sites like Wikipedia and GMail. Kids get experience doing research on the internet in a way that schools can better sustain financially. We're looking forward to seeing how this technology can be brought to the challenge! Just a bit of context about RLabs, our main partner in this sun-blessed event. Located East of the city, RLabs was created by Marlon Parker in 2008 and describes itself as “a global movement that provides innovative solutions to address various complex problems.” Their vision, according to their website, is to impact, empower and reconstruct communities through innovation. Through their Grow Leadership Academy, they provide training to 18-25 in disciplines ranging from personal finance, entrepreneurship, digital skills, social media, creative writing and design, to social innovation. Our event is taking place in their Community Living Lab, which we’ve seen quite packed with young people working all week, all laptops open. They set us up in the large common rooms, and we put up tables, beefed up the wifi network, and here we are! It's been a fantastic day at RLabs - teams hard at work brainstorming, prototyping, designing, and getting their first ‘audience feedback’ session facilitated by Mike and Lloyd from Origin Interactive, Connected Studio’s Mark “the Flash” Flashman, and RLabs’ Simone. Thanks everyone!! Good morning from Cape Town! Today is the second and final day of our Development Studio. We woke up quite early to get to RLabs before the participants, set up, sort out the rooms and catch-up with our regular work. Everyone should be here by 9:30 (soon!). Teams will be working on their prototypes until around 2pm when they’ll have a quick session preparing them for pitches. … closing out the day with awards for the best projects! Needless to say, things will be moving fast today, so watch this space, as well as our #bbcconnected hashtag on Twitter. And we're on! Pitching has begun. Two teams have made their pitches here in Cape Town. We've already seen innovative use of technologies like bluetooth, NFC and raspberry pi. I hope some of these attendees will work with us in the News Labs some day, this is great! I definitely spoke too soon. The third team, RLabs1, used polymer web components for easy integration of their app. I didn't even know what polymer was until they showed me their work-in-progress yesterday. I may have come here as a "BBC Expert" but I've been learning so much from the attendees. A final update from us: the winners are in. After what must have been a tough deliberation choosing just four winners from a fantastic set of twelve presentations, the judges returned. Congratulations to all of the attendees. You impressed us with your innovative approaches to a tough problem, technical skills and collaboration. We’ll leave Cape Town soon, sadly, but with a lot of food for thought thanks to you!